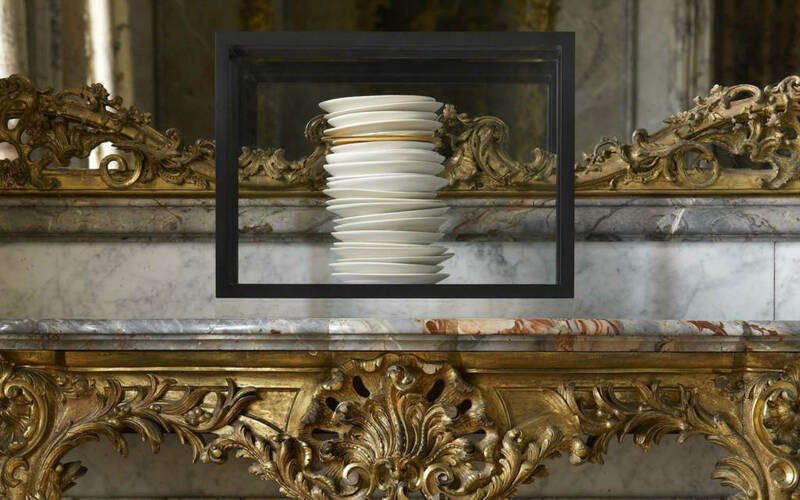 Ceramicist and author Edmund de Waal worked with us during the 2012 season to create a new series of pieces inspired by the collections and interiors at Waddesdon. His series of installations, threaded through the ground floor rooms, were a conversation with the collections at Waddesdon. Some of these groups of porcelain vessels relate to spectacular pieces of furniture, or echo the formal groupings of objects in 18th century interiors. Others take on ideas of collecting itself, how things are kept together, lost, stolen or dispersed. Edmund de Waal is one of the world’s leading ceramic artists. He has exhibited widely and his work is held in many major museum collections. His book ‘The Hare with Amber Eyes’ was published in 2010 and has received several awards. He lives with his family in London.